GWTW Forum > Kite Land Talk > Website Discussion > Nice Wind, Sort Of. Winds NW at 6 mph. John Gillespie and David Barnby at Shoreline 2003, although the EFIX data says Dec 4, 2002. Re: Nice Wind, Sort Of. 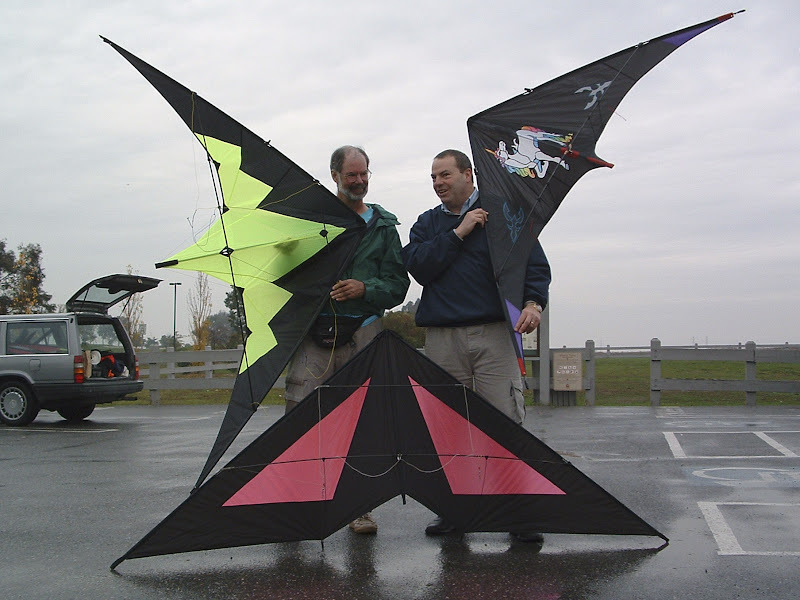 The kites on the left and bottom are slick looking kites. Bottom looks like a TOTL not sure on the left one. His masque was one of my all time favs out of all of them. A really good kite once you learned its dance moves. If i ever get done paying my dentist off and you want to sell one I'd be interested. I'd offer a trade but most of my kites are waiting on rods since a kid did a back flop on my kite bag at the last fly session.